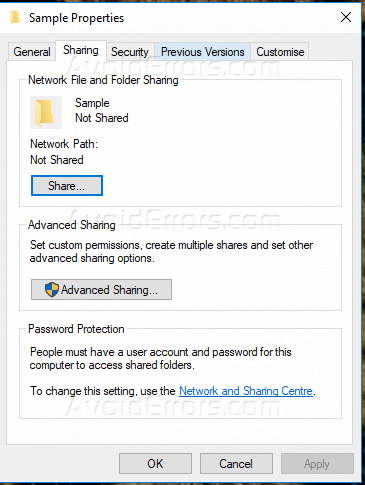 In Windows 10, you can use the feature of file sharing over a local network, as file sharing would be good if there are a big number of users who need to access files/folders, on this tutorial I am going to explain step by step how you can simply share folder on Windows 10 local Network. Imagine yourself getting ready for an important presentation, and you need to send some documents to some of the employees or colleagues, sharing a folder which contains this files will help a lot of that, you can do it by following the below steps. 1) First, create a folder on any location of your system and then fill it with data. 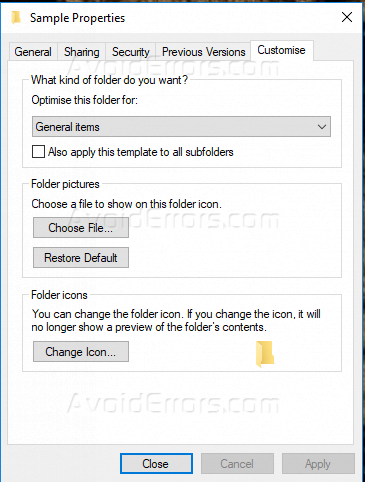 2) Now right click on the folder and select properties. 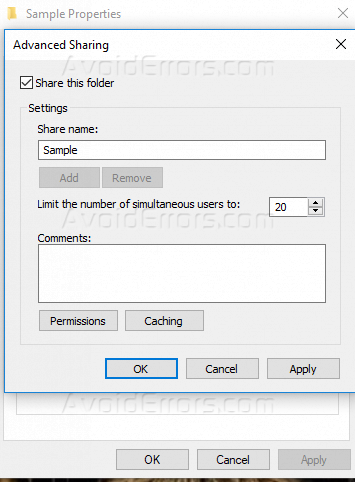 3) Select sharing from the top and then select advanced sharing. 4) Select share this folder and then give any name to this folder. Keep this mind that this is the name from which your folder will be recognized in the network. 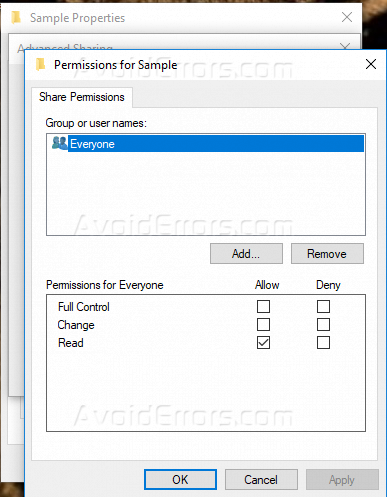 5) Now select permissions there is a default group present made by windows called ‘everyone’, you may create another group depending on your requirement. 6) Now select the permissions that you want for this group, you may allow these credentials for everyone or do not allow or keep all the credentials to yourself. 7) Select OK, then select apply. 8) Now you see that under network path option, a path has been seen. This is the path to that folder whose share is just created. 9) you may also customize this folder for a specific use like sharing only for docs or pics etc and can select folder icon by clicking on the customize icon. Abdelrahman Reda is a Motivated Support Engineer with 6+ years of corporate and consumer support experience. His experience related to administration of Network, NOC support, computers and anti-virus server, data entry, networking sites, remote support.